Bought a puppy from Dogs4Us? Had a bad experience? Click here so we can forward your complaint to the authorities! Welcome to the BoycottDogs4Us.com website. Dogs4Us is a warehouse seller of puppies which sources its dogs from cruel puppy farms. Customers report sick and dying puppies and have spent thousands on vets bills. 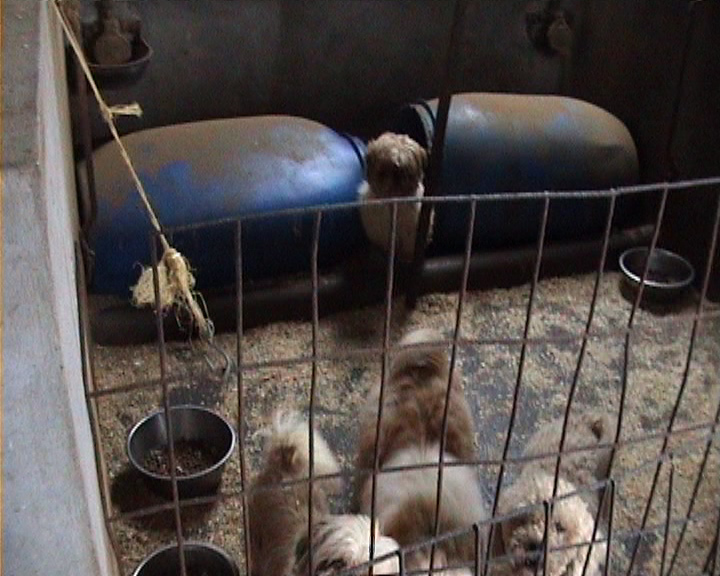 The BBC exposed the fact Dogs4Us regularly buy puppies under 8 weeks old (too young to be away from their mother). They also highlighted cases of seriously ill puppies and the selling of fake Pedigree dogs. Please don’t buy anything, including pet supplies, from Dogs4us as this funds their cruel puppy trade. If Cruella de Vil owned a pet shop it would act like Dogs4Us! Please have a look around the site and learn more. Correcting Lies About Boycott Dogs4Us! **IMPORTANT – PLEASE READ** We did not want to have to make this statement as we have no interest in public infighting within the anti-puppy farming movement. However, our hand has been forced by the disgusting and libellous accusation made by former Dogs4Us store manager Nicola Robinson. This is not the first time she has publicly attacked our group, but this time she has stepped way over the line. She is now claiming we took action that harmed the dogs. We can state clearly and categorically that Boycott Dogs4Us never shut the water off at any Dogs4Us premises. If Robinson or her former co-conspirators at Dogs4Us have any evidence of this claim we invite them to provide it. All our demonstrations are attended to by the police and, had this happened, Robinson or her then colleagues would have had ample opportunity to report it to the police. Robinson had long conversations with the police and was often out watching and laughing at protesters. If Robinson believed her own lie this begs the question why she attended and spoke at two Boycott Dogs4Us demonstrations. Nicola Robinson and her group Save Our Pups has attacked/argued with other respected campaign groups and individuals including Marc the Vet, C.A.R.I.A.D, PupAid, Yonni from Saynotopetshoppups and Robinson’s former campaign supporters including long term activists such as Mary Parker and Steven McLean. Robinson is a danger to the movement… she has not only caused divisions, duped campaigners with her blatant lies but also oversaw terrible standards of cleanliness inside Dogs4Us that she as a manager had the responsibility to rectify. We have never made a public statement like this but we feel it is our duty to strongly advise all activists to avoid Robinson and her group Save Our Pups.